Monsters University came out today! Monster’s Inc. was one of my all-time favorite children’s movies and I’m super excited to watch this movie with my kids tomorrow. 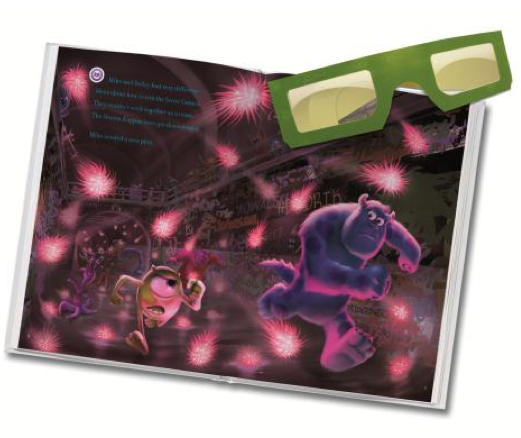 Before it came out, we got to review the brand new Leapfrog Monsters University game and book. If you are looking for a fun new game for your kids, this is the one! 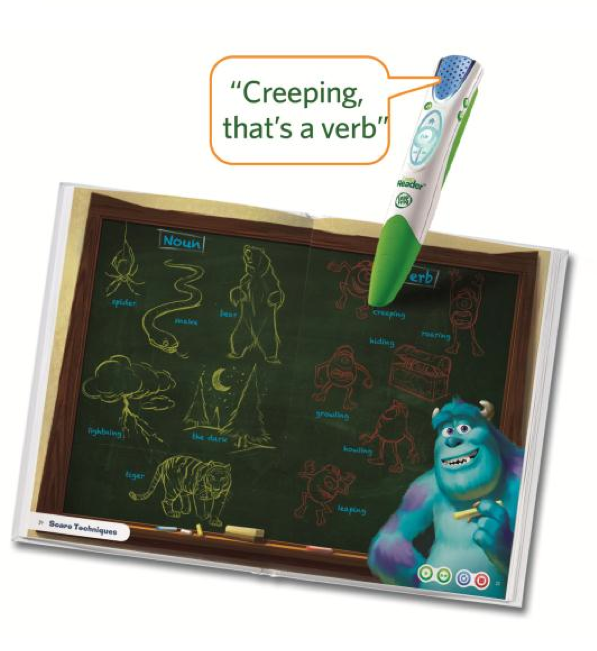 This is Leapfrog’s first 3D book and it is so fun! It comes with little 3D glasses so it adds a whole new dimension of entertainment. This book is used with the Tag reader so if you don’t have one, it’s well worth the investment! The games build logic and reasoning skills, and teach about nouns and verbs as well as word recognition. What I love about these Leapfrog games is that they are so much fun for the kids that they don’t even realize they are educational. And I am so impressed with how many things and skills my kids have leaned from Leapfrog products. We got the Tag a little while ago and we have used it with lots of the various Leapfrog Tag books and educational games. 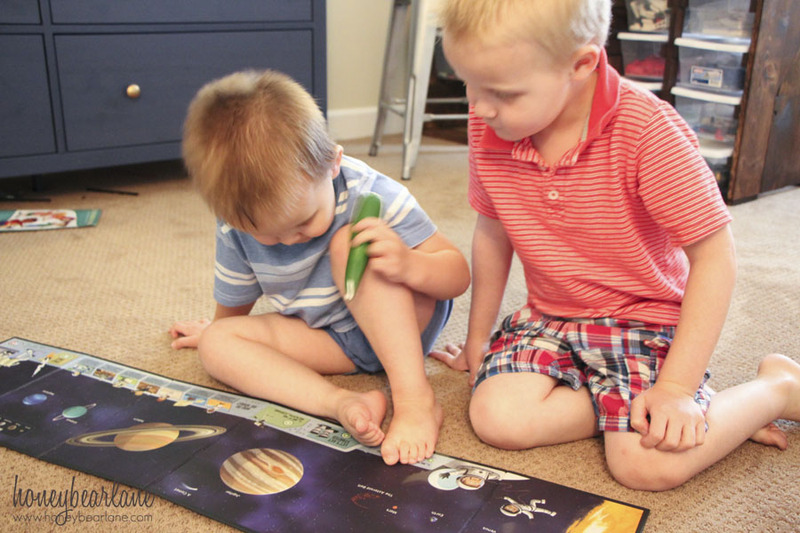 My kids loved the Solar System foldout activity board! The Tag is very educational and makes reading fun for kids. It’s great because it reads to your child who may not be able to read very well yet. 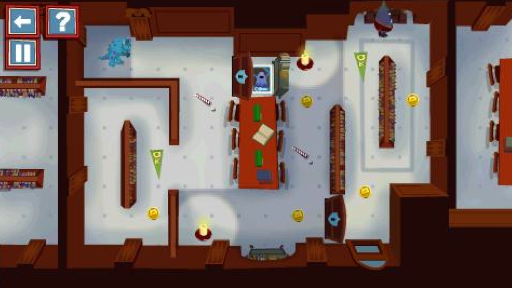 As for the game, it works with the Leapster Explorer and has TONS of little games to explore. Now for the fun part–the giveaway! 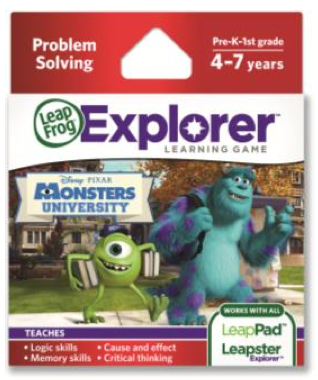 Leapfrog is giving away this game and the book along with two movie tickets to Monsters University! We love the Tag books. The tag book are terrific! We bought our daughter a Leap Pad for Christmas and she loves it. My nephews are huge fans of the tag books, so they get my vote for “favorite”. I like the tag reader because my daughter is just now getting into reading. I like the Leapster Explorer. We love our Tag reading system. We would love to win so we could try this out! I love the Tag books!!! I just found out about them recently! Genius! So great! It is a definite tie between the tag books and LeapPad! My 2 year old LOVES the reader. He’ll sit forever reading Brave. My 4 year old got the Leap Pad for his birthday last year. I’m so impressed with the things he learns while playing. It’s wonderful. I want a tag reader and books. Just got my grands the Tag And Tag Jr. Reading system and I think it’s going to be my favorite. They both love their Leap Pads a lot. We have a Tag, Tag jr., Leappad and my Pal Violet and love them all, but my favorite is My Pal Violet. My daughter has had the scout and the little leapfrog leaptop. She has had both of those for years and still plays with them. She’s getting the leap pad on Tuesday for her birthday. Would be great to win another game to go with it. Leapster, Tad, the videos I love it all! Love any thing Leap Frog! The LeapPad and the Tag books! My oldest kids had the original Leap Pad (the one that held the spiral bound books). They absolutely loved it. My other daughter had the original Leapster system. I wish I had held onto all of them for my youngest kiddo! Right now our favorite is the Letter Factory game and the videos. At 2 he can tell us what sound every letter of the alphabet makes. It is awesome! Love LeapFrog products and love the original Monsters Inc! We love our Leappad 2! I like the tag reader, Thank You!! !